He caved to internal FBI critics and Republicans in Congress who are angry that he wasn’t tougher on Clinton. Now he’s paying for it. 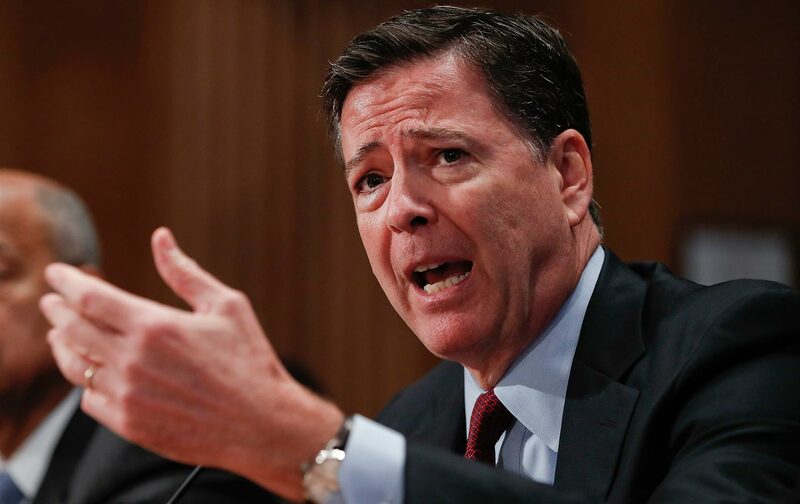 We are beginning to understand more about why FBI Director James Comey broke Justice Department rules and jumped into the presidential race last Friday, announcing that the bureau had learned of more e-mails that “appear to be pertinent to the investigation” into Hillary Clinton’s handling of classified information and thus giving the flailing Donald Trump campaign a huge gift 11 days before the election. From multiple media sources, the truth seems to be this: Comey faced mounting protest from FBI agents and Republicans in Congress who insisted that the bureau should have recommended charges against Clinton, and who expressed unhappiness over Comey’s handling of queries about the Clinton Foundation. Rather than stand up to the protests, Comey tried to forge a middle ground with the brief, inscrutable letter released Friday. Immediately, Trump began making up grandiose lies about how Comey’s move proved Clinton’s “criminal” behavior, in a scandal “bigger than Watergate.” On Monday, Trump began crowing about a “revolt” against Comey within the FBI. Meanwhile, a bipartisan group of former FBI and Justice Department officials—including former attorney general Eric Holder and his Bush administration predecessor Alberto Gonzales—have criticized Comey harshly for bucking his Justice Department superiors and violating department rules by releasing his terse but explosive letter so close to an election. Three days later, we know nothing concrete about this possible new phase in the investigation except this: Comey’s FBI is a leaky sieve. Within hours of his letter’s release, FBI sources were telling reporters all kinds of “facts,” some of them contradictory. We now know that the new e-mails came from a laptop belonging to disgraced former congressman Anthony Weiner, being investigated for sexting with an underage minor, and that they belong to his estranged wife, Huma Abedin, a top Clinton aide. We know that Comey had not seen the e-mails in question when he released his letter; the FBI just got a warrant to read them on Sunday. But we still don’t know if any of the e-mails are to or from Hillary Clinton, if they contain any classified information, or if they’re duplicates of messages that have already been investigated. If Comey was hoping to head off internal chaos, he’s merely created a different kind. The kindest interpretation of Comey’s action holds that the director had to say something to Congress because he had testified that the FBI was no longer examining Clinton’s e-mails. Faced with new e-mails that might pertain to the case, he felt obliged to let Congress know. But even assuming Comey did have to act—which some legal experts say is incorrect, because nobody had yet seen the e-mails in question, thus nobody knew if they were “pertinent” to the investigation—there were many better ways to have done it. He should have made clear that no one had read the e-mails in question and thus could not be sure they were pertinent. He might have added that there was no way of knowing if any of them were from Clinton herself. In fact, Chaffetz’s behavior raises lots of questions about possible collusion between rogue FBI agents and GOP members of the Oversight Committee. Two days before Comey released his letter, Chaffetz was boasting about the treasure trove of Clinton documents he already controlled and promising more investigations after the election, telling The Washington Post’s David Weigel: “Even before we get to Day One, we’ve got two years’ worth of material already lined up. She has four years of history at the State Department, and it ain’t good.” That same day, Chaffetz reversed his decision not to vote for Donald Trump (which he’d announced after the Access Hollywood video was released, saying he could not look his 15-year-old daughter in the eye if he supported him). Two days after Chaffetz’s boasts about his plans to keep investigating Clinton, Comey made his strange decision. With hindsight, it could look as though the emboldened Chaffetz knew something was coming. What we do know is that Republicans have now helped to compromise the perceived integrity of the FBI. On Monday, the media pendulum swung from shamelessly repeating the Chaffetz version of the Comey letter (the norm on Friday) to reporting on Comey’s bipartisan roster of critics, as well as correcting Trump’s blatant misstatements about what the FBI director said. Clinton may ultimately survive this non-scandal and wind up in the White House. We can only hope some in the media maintain their skepticism about the way the GOP has dangerously weaponized the government’s investigative power, from Congress to the Justice Department. “It’s very important that the public have trust in our justice system, that’s part of our democracy,” Cummings told MSNBC on Monday. Goaded by the GOP, James Comey has put that trust at risk.